Apple may have accidentally tipped its hand on two imminent hardware releases this week, with support pages from the company referencing both new Mac mini and 27-inch iMac models listed with a "mid-2014" launch. A reference to an updated Mac mini was first discovered on Tuesday, and French site ConsoMac chimed in on Wednesday with a separate mention of a mid-2014 iMac. Like the Mac mini, the reference was included in a chart detailing which versions of Microsoft Windows are compatible with Apple hardware. 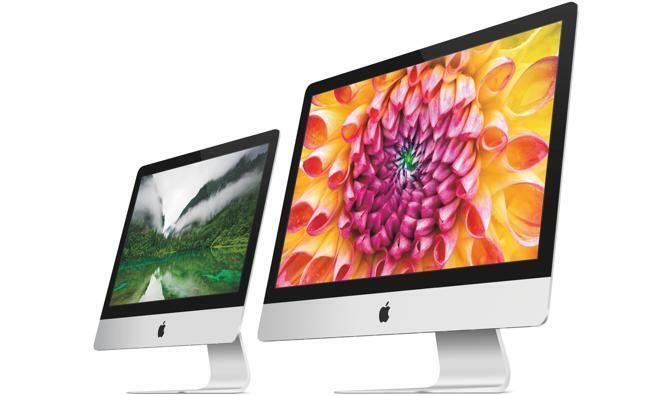 Other than that, nothing is known about the mid-2014 iMac, such as internal specifications or screen resolution. Customers have been clamoring for a revamped iMac with a high-resolution Retina display for some time, but there has been no concrete evidence that such an update is imminent. Apple's page has since been updated, but a Google cache still shows a reference to two new iMac models in 2014. The company did introduce a new low-end model last month with MacBook Air components. That new 21.5-inch iMac reached a lower starting price of $1,099, a savings of $200 off the next nearest model in the same size. But the 27-inch iMac has not seen an update yet this year. It's currently available in two default configurations: A model with a 3.2-gigahertz quad-core Intel Core i5 processor and a gigabyte of video memory for $1,799, and a higher end 3.4-gigahertz Intel core i5 model with twice the video memory for $1,999. While Apple's new 2014 low-cost iMac was rumored before its launch, there have been no such indications of an impending refresh for the 27-inch variety before the listing appeared on the company's website. The same goes for the Mac mini, which hasn't seen an update in two years. As such, it's possible that both references may have been errors on the company's part. Or it could be a rare slip-up for Apple, which is known for its legendary secrecy regarding future product plans.